The positive momentum is needed after U.S. stocks were mixed on Friday. U.S. Federal Reserve Chairwoman Janet Yellen's speech in Jackson Hole failed to beat back renewed geopolitical concerns in eastern Ukraine. On Friday, NATO announced that Russia was building up a strong troop presence on the eastern border of Ukraine, while another convoy entered the country, stirring the hornets' nest that has dampened investor sentiment for several months. 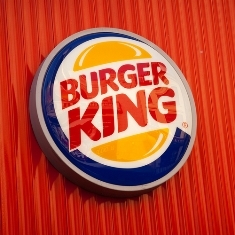 Merger Mania: Shares of Burger King Worldwide Inc. (NYSE: BKW) were up more than 16% in premarket hours on news the company may purchase Canadian coffee-and-doughnut chain Tim Hortons Inc. (NYSE: THI). Still operating as separate brands, the deal would create one of the world's largest fast-food companies at roughly $18 billion. The deal would also allow Burger King to move its operations to Canada to reduce its corporate tax rate. Production Problems: The Wall Street Journal reports that a strategic buyer could purchase Ann Inc. (NYSE: ANN) for up to $55 per share, a 47% premium to Friday's closing price. The paper said that Engine Capital LP, which owns 1% of the company's stock, believes that Ann is on the block, and that they plan to publicly push for its acquisition because the management hasn't moved quickly enough during its negotiations. Another Deal: Shares of InterMune Inc. (Nasdaq: ITMN) were up more than 36% this morning on news the company will be purchased by Roche Holding Ltd. (OTCMKTS ADR: RHHBY) for $8.3 billion in cash. The deal helps Roche boost its roster of new drugs to treat diseases, including a newly approved drug called Esbriet that treats a deadly lung disease.